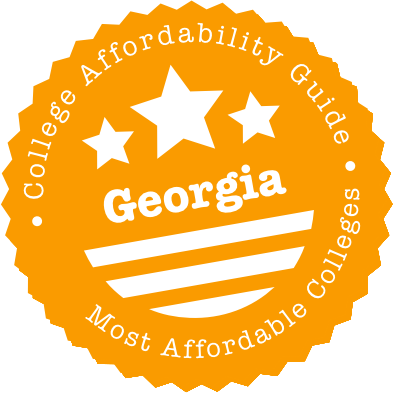 Scroll down to see our top-ranked colleges in Georgia, loans and scholarships for Georgia students, and advice on how to save money going to college in Georgia. Founded in 1785 as the first state-chartered, public college in the country, the University of Georgia is a picture-perfect campus with 759 acres of century-old trees, excellent examples of19th century architecture and plenty of green open spaces for its growing student population. The average first-year financial assistance package is $12,795 and typically consists of grants, scholarships and loans. Two merit-based scholarships for incoming freshmen are the HOPE Scholarship Program (Helping Outstanding Pupils Educationally) and the Zell Miller Scholarship Program. The Georgia HERO Scholarship (Helping Educate Reservists and their Offspring) supports members of the Georgia National Guard and U.S. military reservists or their children. Educational assistance is given to those who served in combat zones on or after May 3, 2005. Georgia Southern University in Statesboro, Georgia is a public research university and the largest higher education institution in Southern Georgia. Financial aid is awarded to 89% of full-time beginning undergraduates; 8% of these students receive institutional grants or scholarships. The average amount of institutional gift aid given to first-year, full-time students is $3,365. Freshmen admitted into the University Honors Program are considered for the full-tuition 1906 Scholarship. All freshmen with outstanding academic records can apply for the Presidential Scholarship, which provides 65 awards ranging from $1,500 to $4,000 per year. The Georgia Southern Foundation Scholars Scholarship is also available to incoming freshmen and provides renewable awards of $1,500 to five students yearly. Does an affordable college degree exist in Georgia? Absolutely. Thanks to generous state financial aid packages, your options are many and varied. Georgia’s HOPE Program rewards smart students with grants & scholarships and its loan forgiveness programs are especially kind to residents interested in military careers. The state even funds a program that helps high school students earn college credits. In Georgia, college students benefit from the ability to easily transfer completed college credits. The state offers a core curriculum, statewide common course numbering, and transferable associate’s degrees. The University System of Georgia offers a core curriculum that covers six broad academic areas. Students who complete the core curriculum at a higher educational institution within the University System of Georgia will be able to transfer the credits to another institution within the system. They can receive full credit at all public two year and four year colleges and universities. However, students may not get full credit if they have changed majors or program of study. Georgia college students benefit from statewide common course numbering. While each institution in Georgia has its own articulation guide, common course numbering makes it simple to identify equivalent courses that can be counted for credit. There is, however, an agreement between the University System of Georgia and the Technical College System of Georgia that allows students to transfer general education courses to any college or university within the University System of Georgia. The Georgia Student Finance Commission (GSFC) is responsible for administering state financial aid programs, but it runs a separate website aimed directly at students—GAcollege411. This is designed to help you plan, apply and pay for college. Along with advice for middle school students, high school students, adult students and military, you’ll find career tools, credit transfer instructions, an online tracking system for college applications, free test prep courses and more. One of the most important sections on GACcollege411 is Financial Aid Planning. This includes a rundown of state scholarships, grants and loan programs—including the all-important HOPE Program—and a link to the online application form: GSFAPPS. You can use GSFAPPS to apply for the HOPE Scholarship, the HOPE Grant, the Zell Miller Scholarship, the Zell Miller Grant and the Georgia TEG Program. While you’re there, experiment with the cool Financial Aid Calculators and the tools to Build a Financial Aid Plan. Adult learners should also check out Go Back. Move Ahead. This website is targeted at the one million Georgians who have completed some college and want to return and finish their degrees. You’ll have your pick of affordable programs in the USG or TCSG college systems and you may be eligible to earn credits for previous experience (work, military, volunteer). When you’ve decided to make the jump, you can talk to a personal education advisor about building your college plan. Summary: This grant is only available to dependent children of Georgia Public Safety Officers who were permanently disabled or killed in the line of duty. Recipients receive an award that covers their total cost of attendance—minus any other student financial aid—at eligible colleges, universities or technical colleges in Georgia. The maximum award amount per year is $18,000. How to Apply: Complete a Public Safety Memorial Grant Application. You will also be asked to submit documentation regarding the accident or incident resulting in death or disability to GSFA. You must reapply each year. Summary: GTEG is intended to help Georgia residents who want to attend eligible private colleges or universities within the state. Recipients receive an award of $450 per semester or $300 per quarter (award amounts are subject to change) for up to three semesters or four quarters per year. Students must be enrolled full-time in an undergraduate program of study leading to an undergraduate degree. How to Apply: Students can apply using the online GSFAPPS application or by completing the printable paper TEG application. Summary: This award is available to students who have earned a GED diploma awarded by TCSG after June 30, 1993. It provides students with a one-time $500 grant for tuition, books or other educational costs at an eligible postsecondary institution. Full-time enrollment is not required. Students must use their HOPE Grant award within 24 months of the date of earning their GED diploma. This isn’t the only money you can receive! For example, in addition to the GED Grant, you may qualify for the HOPE Grant for certificate and diploma programs. If you’re in a degree program, you’ll be eligible for the HOPE Scholarship once you’ve attempted your first 30 semester or 45 quarter hours of study and earned a 3.00 cumulative GPA. How to Apply: A HOPE GED voucher will be mailed to you along with your GED diploma. You can submit this voucher to a HOPE-eligible postsecondary institution at the time of enrollment. In return, your account will be credited with $500 to cover eligible educational costs. Summary: The HOPE Grant is aimed at students who aren’t interested in an undergraduate degree. It provides tuition assistance to Georgia residents who are working towards a technical certificate or diploma at an eligible USG or TCSG postsecondary institution. Students don’t have to graduate from high school with a specific GPA or be studying full-time, but they must maintain a cumulative 2.0 GPA at certain checkpoints in the certificate/diploma program to maintain eligibility. Award amounts will vary depending your program of study and the number of hours of enrollment. The grant covers up to a maximum of 15 hours each semester. Students receiving HOPE Grant funds may also be eligible for funding from the Strategic Industries Workforce Development Grant (SIWDG). You cannot receive a HOPE Grant if you already hold a baccalaureate degree. Continuing education programs are not eligible. How to Apply: File your FAFSA or complete the online GSFAPPS application or printable paper GSFAPPS application. You should also contact the Financial Aid Office at the school you plan to attend to see if any other institutional application needs to be completed. Summary: SIWDG is a supplemental grant available to Georgia residents who are pursuing a technical certificate or diploma at an eligible TCSG institution and receiving HOPE Grant or Zell Miller Grant funding. Taken together, these two grants will cover the entire tuition costs in 11 approved programs of study. Awards are based on the student’s program of study and the number of hours of enrollment. Students remain responsible for student fees and any necessary equipment. Check our HOPE Grant listing to see general eligibility requirements for the HOPE Grant. How to Apply: Follow the career links on the TCSG website to find a program that interests you and click on the program’s “list of colleges” to see if a TCSG near you offers a certificate/diploma in your desired field. You should also apply for a HOPE /Zell Miller Grant by filing your FAFSA or completing the online GSFAPPS application or printable paper GSFAPPS application. Summary: Like the HOPE Grant, the Zell Miller Grant is given to students working towards a technical certificate or diploma at a TCSG or USG institution. However, in return for a 3.5 cumulative postsecondary GPA at the end of each term, the grant will cover the standard undergraduate tuition rate at the student’s choice of school (i.e. full tuition). The first term of enrollment is paid retroactively if the student has earned the required 3.5 GPA. Award amounts will vary depending your program of study and the number of hours of enrollment. The grant covers up to a maximum of 15 hours each semester. Students receiving Zell Miller Grant funds may also be eligible for funding from the Strategic Industries Workforce Development Grant (SIWDG). You cannot receive a Zell Miller Grant if you already hold a baccalaureate degree. Continuing education programs are not eligible. How to Apply: File your FAFSA or complete the online GSFAPPS application or printable paper GSFAPPS application. Summary: This merit-based scholarship is intended for Georgia residents who have graduated from high school with a minimum 3.0 GPA. It provides tuition assistance for students pursuing a first-time undergraduate degree at an eligible postsecondary institution in Georgia (see the scholarship website for a list of eligible schools). Students need to maintain a minimum 3.0 cumulative GPA in their college to remain eligible. Award amounts will vary depending on your choice of school and the specific number of hours enrolled, whether full-time or part-time. The scholarship covers up to a maximum of 15 hours each semester. Even if you weren’t academically eligible as an entering college freshman, you can become eligible for the scholarship after you attempt 30, 60, or 90 semester hours (or 45, 90, or 135 quarter hours of study) and achieve a 3.0 cumulative GPA at the college level. Summary: REACH is a needs-based scholarship & mentoring program aimed at smart 8th grade students in Georgia who need academic, social and financial support in order to achieve success. Each financial scholarship offers qualifying students up to $10,000 ($2,500 per year for up to four years) for educational costs at a HOPE-eligible public or private postsecondary institution in Georgia. Those costs can include tuition, food, transportation, housing, fees, etc. On top of that, every student is paired with a mentor and an academic coach during high school for added support. Preference is given to future first-generation college students. You must maintain a cumulative GPA of 2.0 in college to keep the scholarship. How to Apply: Selected school systems nominate eligible students for REACH Scholarships beginning in the 8th grade. Once nominated, students are given an application to complete. Contact a participating school for information. Summary: The Zell Miller Scholarship is very similar to the HOPE Scholarship, but with a tougher GPA requirement and a higher level of assistance. The merit-based award is given to Georgia residents who have graduated from high school with a minimum 3.7 GPA and a minimum SAT score of 1,200 on the math and reading portions (or a minimum composite ACT score of 26 in single national test administration). The scholarship provides full tuition assistance for students pursuing a first-time undergraduate degree at an eligible postsecondary institution in Georgia (see the scholarship website for a list of eligible schools). Students need to maintain a minimum 3.3 cumulative GPA in their college to remain eligible. Summary: SEE is a forgivable loan program designed to grow the number of qualified engineers in the Peach State. Applicants must be Georgia residents enrolled in approved engineering programs at eligible private postsecondary institutions. The maximum amount of the SEE award is $1,750 per semester for full-time undergraduate study for an educational career maximum of $17,500. This money can be used for tuition and fees, room and board and any other part of the student’s cost of attendance budget. The award remains a scholarship as long as the engineering graduate works one year in the field of engineering within Georgia for each $3,500 of scholarship money awarded (i.e. one year of work for one year of award money.) If a student fails to complete the degree or doesn’t start working as a Georgia engineer within 12 months of graduation, the award converts to a loan and the student is required to repay the loan balance—and any accrued interest—within six years. How to Apply: Complete the Scholarship for Engineering Loan Application and Promissory Note. Summary: Like the SEE, the MSEE is a forgivable loan program. But this one is geared towards minority students who wish to become qualified engineers in Georgia. Along with being a minority, applicants must be Georgia residents enrolled in approved engineering programs at eligible private postsecondary institutions. The maximum amount of the MSEE award is $5,250 per academic year for full-time undergraduate study for an educational career maximum of $15,750. This money can be used for tuition and fees, room and board and any other part of the student’s cost of attendance budget. The award remains a scholarship as long as the engineering graduate works one year in the field of engineering within Georgia for a reduction in balance up to $3,500 each year. If a student fails to complete the degree or doesn’t start working as a Georgia engineer within 12 months of graduation, the award converts to a loan and the student is required to repay the loan balance—and any accrued interest—within six years. How to Apply: Complete the Scholarship for Engineering for Minorities Loan Application and Promissory Note. Summary: The state of Georgia administers only one student loan program—the SAL. The SAL is a 1% fixed rate loan available to qualified students who attend an eligible USG, private or TCSG postsecondary institution in Georgia. This loan program is especially designed to assist undergraduate and technical college students who have a gap in meeting their educational costs. Applicants must have first applied for—and exhausted—other options such as federal, state and private scholarship and grant programs and Veterans Education Benefits. The first selection of applications will be current HOPE and Zell Miller Scholarship recipients and previous SAL borrowers in good standing. Previous SAL borrowers must also be current on their monthly KIT payments. How to Apply: Complete the SAL Application. Summary: This forgivable/cancelable loan program provides outstanding students with a full two-year scholarship to Georgia Military College (GMC). The scholarship covers tuition, fees, room, meals, books and uniforms, minus state and federal grants. In return for the scholarship, recipients agree to serve in the Georgia National Guard for a period of four years (two years while attending GMC and two years after graduation). If they fail to meet the service requirements, the scholarship converts to a loan and recipients must repay the total amount received, plus interest, within five years. How to Apply: Complete the Georgia Military College State Service Scholarship Loan Program Application. Summary: The HERO Scholarship is available to members of the Georgia National Guard and U.S. Military Reservists (and their children and spouses in certain cases) who were deployed overseas on active duty service to a location designated as a combat zone on or after February 1, 2003. Eligible recipients may receive up to $2,000 per academic school year. Award amounts are prorated for school terms in which recipients are enrolled for less than full-time (12 hours). Recipients must attend a USG or TCSG institution or an eligible private/independent college or university in Georgia (see the scholarship website for a full list). How to Apply: Complete the HERO Scholarship Application. Contact the Georgia Department of Veterans Service for more info on education benefits. Summary: MOWR is a dual credit enrollment program that helps Georgia students earn college credits while working on their high school diploma. High school students who meet the eligibility requirements and enroll in MOWR-approved courses will receive financial help with undergraduate tuition, mandatory fees and a book allowance. (Aid is paid to the postsecondary institution, not to the student.) Award amounts may be found on the MOWR award chart. The program is offered during the fall, winter, spring and summer terms of the school year. Students can pursue a postsecondary diploma, certificate or degree at the same time as they are completing their high school diploma. How to Apply: Students attending an eligible public or private high school or participating in the GAMES Academy or the Advanced Academy of Georgia must complete the MOWR online application. Students attending a home study program must complete the MOWR paper application. All three sections of the application must be completed and submitted to GSFC. A Georgia college education—even with the best of financial aid packages—is rarely cheap. If you and your family are starting to struggle with basics (e.g. heat, food, healthcare, etc. ), you may be eligible for state assistance. Georgia’s Division of Family and Children Services (DFCS) administers programs like SNAP (food stamps), Medicaid, energy assistance, TANF (temporary cash assistance) and child care benefits. You can apply online for public assistance benefits via the Compass website. Another option is to call 2-1-1 or visit a 211 website for your Georgia area (e.g. Atlanta, Central Georgia, etc.). 211 is a free service that connects Georgia residents to social service agencies and organizations. Need help with child care? Looking for affordable food options? Experiencing a temporary financial crisis? The 211 referral specialists will help you find programs in your area. We’ve also listed a number of county-specific social service organizations in our city sections below. In general, on-campus housing will be pricier than renting an off-campus apartment. You can try to cut down on expenses by sharing a dorm room with roommates and opting for the cheapest meal plan, but costs will still add up. Remember, too, that some colleges have a residency/housing requirement (e.g. UGA, GCSU, etc.) that mandates that you live on-campus for your first year. That’s the bad news. The good news is that living in a dorm means you’re not paying for commuting costs, rooms are typically furnished, utilities are included in the room rate and buildings are up-to-code. Some universities (e.g. Georgia Tech) offer family housing options; others (e.g. MGA) trumpet their range of affordable choices. Even GSU, a former commuter school, is investing in new dorms. Visit the housing section on your school’s website for the most up-to-date information on rates. If you find that your financial aid package doesn’t cover housing, talk to your school’s residential life/housing coordinator or the Financial Aid Office about options. There are a lot of private & institutional scholarships and work-study programs aimed at room and board. For instance, UNG’s Residence Life Leadership Scholarship Program is available to UNG juniors and seniors living who hold key leadership positions and maintain a minimum 3.0 GPA. You may choose off-campus housing for all kinds of reasons—you have family responsibilities, you’re going to a commuter school (e.g. AMSC), you’re tired of sharing bathrooms. Not sure what’s best? Use the budget calculators on CalcXML.com and MappingYourFuture.org to compare on-campus costs (meal plans, dorm fees, etc.) with off-campus bills (groceries, commuting, utilities, etc.). In general, the closer you are to campus, the more expensive the apartment. One place to look for resources is—believe it or not—your college website. A lot of schools provide off-campus advice, links and apartment listings under the housing section. For example, GSU has an advice page, with checklists and commuting routes, and a partnership with Places4Students. Georgia Southern has an Off-Campus section and runs two housing fairs per year. Once you’ve looked at your university website, it pays to shop around. Along with Craigslist, you can try websites such as ABODO.com, CampusRent.com and ApartmentGuide.com, which allow you to target affordable housing listings around your specific school. Hitting a crisis? The Georgia Homeless Shelter Directory includes emergency shelters and transitional housing opportunities. Check your rental agreement/lease very carefully. Utilities aren’t always included in rent, so it’s vital to know what utilities you’re responsible for paying for and what your landlord is willing to cover. You can also request a monthly estimate of utility bills or talk to former renters to get a sense of real costs. Do you already rent or have a home? The state runs the Energy Assistance Program (EAP), which is designed to help low-income households afford heating and cooling costs. And Heating Energy Assistance Team (HEAT) is a non-profit established to help with—you guessed it—heating costs. What’s more, a lot of power & utility companies (e.g. Georgia Power) offer bill pay assistance to eligible customers. Always ask what’s available in your area. Cheap medical care can usually be found at your student health center. The bigger (and better funded) schools tend to have fancier buildings with lots of services. For example, UGA’s University Health Center has a dental clinic, massage therapy services and radiology. But even more modest schools will still provide immunizations, physicals, screening tests and nutrition advice. When your school fails you, there are a number of community clinics and health centers in Georgia that offer free or affordable medical care. FreeClinicDirectory.org and NeedyMeds.org both provide lists. Student parents can also look into PeachCare for Kids, a program offering low-cost or free health insurance to uninsured kids. A similar procedure applies to mental health treatment. Visit your student health center (many now offer counseling services) or visit ReferralConnect to find a mental health or substance abuse provider. For immediate assistance, call the Georgia Crisis & Access Line (GCAL) at 1-800-715-4225; the Mental Health Crisis/Suicide hotline is 1-800-273-8255. Finding affordable dental care may take a little more effort. UGA’s student health center has a dental clinic, but it’s a rarity. Some student health centers will refer you to local dentists; others will direct you to dental schools (where student dentists can practice on you!). For example, The Dental College of Georgia offers reduced fees to all patients. Alternatively, FreeDentalCare.us: Georgia has a list of free and low-cost dental clinics in the Peach State. Paying for child care is one of the toughest barriers to college. Fortunately, a number of Georgia universities offer daycare on campus, and a few of these offer subsidies. For example, the ALP Childcare Subsidy Lottery Program at Kennesaw State University is open to both full-time and part-time students. Go Back. Move Ahead. also has a useful list of Child Care Services for Georgia Students. Nothing on campus? Georgia’s Department of Early Care and Learning (DECAL) has a Child Care Provider Search and advice on choosing a provider. You can also call 1-877-ALL GA KIDS to speak with an informative staff member about your options. It’s possible you may qualify for subsidized child care under the Childcare and Parent Services (CAPS) program. Transportation costs will vary depending on your commitments (e.g. working part-time jobs) and school location (e.g. urban vs. suburban). Regardless of your situation, it’s still worthwhile visiting the Transportation or Transit section of your website. It won’t be exciting, but it will have lots of info on student discounts, parking and affordable alternative options (e.g. ride shares, carpools, bike rentals, free shuttles from parking lots, etc.). Even better, some Georgia universities have forged partnerships with local transit companies. For example, MARTA (Atlanta’s metro) offers a UPASS discount card to students attending participating universities, including Georgia Tech and GSU. And students with a UGA ID card ride free on Athens Transit buses. You can also look on the websites of national carriers (e.g. Greyhound, Amtrak, etc.) to see what student discounts are available. Too many low-income Georgia students go hungry into order to afford college. Some schools are doing their best to help by opening on-campus food pantries. You’ll find a list of these on the College and University Food Bank Alliance (CUFBA) Members page (e.g. GSU, Georgia Tech, UGA, Kennesaw, etc. ), but you can also ask about options at your university’s Financial Aid Office. Your school may have food subsidies or ways to reduce meal plan costs. Your community will also be there for you. FoodPantries.org has a long list of Georgia Food Pantries and HomelessShelterDirectory.org has a similar database of GA soup kitchens, pantries and food banks. New moms or moms-to-be might want to see if they qualify for the Georgia WIC Program. Atlanta comes with big city prices, but the overall cost of living is still around the national average. Students love the ease of taking the MARTA or a street car, and there’s plenty of affordable entertainment and nightlife. Complaints about the city often involve gridlock traffic and the hot, humid summers (i.e. air conditioning bills). General info for residents can be found on the City of Atlanta website. Lots of things can get in the way of affording college. A temporary financial crisis. The loss of a part-time job. Struggles with taking care of kids. If you live in Atlanta and you’re worried about paying for your education (or your bills), these non-profit organizations can lend a hand. Midtown Assistance Center (MAC) provides emergency assistance to low-income Atlantans during periods of crisis. That assistance includes help with utilities, groceries, rent and public transportation. Action Ministries Atlanta is focused on hunger relief, housing and education in metro Atlanta. Programs include a Women’s Community Kitchen, school/summer lunches and mental health counseling. They have adult education programs in their Athens, Augusta, Covington, Decatur and Gainesville locations. Achieve Atlanta Scholarship is a need-based scholarship that supports low-income Atlanta Public School (APS) students pursuing various paths after high school. Students attending a four-year college receive up to $5,000 a year; students attending a two-year college receive up to $1,500 a year. The College Prep Program is an educational non-profit organization that helps Georgia families prepare for—and complete—the college application process. They walk students and parents through financial aid, scholarships, loans and best practices. The Urban League of Greater Atlanta (ULGA) has all kinds of practical programs focused on economic empowerment. The Project Ready Mentor Program and YouthBuild are aimed at preparing youth for college and apprenticeships, but ULGA also offers housing counseling, job readiness training, career services and more. You can also search by category (e.g. education, food, etc.) in the directory of Atlanta, GA non-profits on CharityBlossom.org. Home to Columbus State University and Columbus Tech, Columbus is a mid-size Southern city with low housing costs—around half the national average. It’s not a thriving college town like Athens, and you’re limited to Metra buses for public transport, but cheap rents are available. Students also like to take advantage of free public areas like Flat Rock Park and the Riverwalk. General info for residents can be found on the City of Columbus, GA website. A lot of non-profit organizations in Muscogee County exist to help residents achieve their dreams. Some of these tackle the problem of making education and job training in Georgia cheaper. Others are ready to lend a hand with temporary financial issues or budgeting. Chattahoochee Valley Episcopal Ministry, Inc. (CVEM) provides emergency assistance with rent, mortgages, medical expenses, transportation and other needs. It also runs a food ministry initiative in Talbot County. Enrichment Services Program, Inc. has a community services department that provides energy assistance, food packages and case management focused on self sufficiency for low-income families. It also administers a variety of child care centers. HOPE Inside Columbus offers one-on-one credit counseling, credit and money management workshops and free financial advice. Goodwill of North Georgia has developed a variety of training programs (including youth employment services) and operates career centers throughout North Georgia. If you need a job to help pay for college, this is a good place to start. You can also search by category (e.g. education, food, etc.) in the directory of Columbus, GA non-profits on CharityBlossom.org. Like Columbus, Augusta’s overall cost of living is below the national average and housing costs are generally low. It has a walkable downtown with cheap eats, lots of parks/outdoor opportunities and affordable rents. But don’t expect much in the form of public transport—you’re limited to APT buses. General info for residents can be found on the City of Augusta website. It takes a village to make a Georgia college graduate. If you’re a high school student looking at education options, a lot of Augusta non-profits can help you prepare for the next step. If you’re an adult learner, there are organizations who can assist with daily challenges. Shiloh Community Center operates a local food pantry in partnership with the Golden Harvest Food Bank. Its Project Y.E.S. program provides year-round tutoring, life-skills, life enrichment and mentoring for middle school and high school students. Boys and Girls Club of the CSRA has developed a lot of college-focused programs, including one-on-one tutoring and homework help, Project Learn, Goals for Graduation, CareerLaunch, Job Ready, Junior Staff Career Development and Money Matters. Diamond in the Rough (DITR) provides training, coaching and more to girls ages 4-18. The CROWNS College & Career Development Program includes monthly workshops, career & educational field trips and help with college preparation. You can also search by category (e.g. education, food, etc.) in the directory of Augusta, GA non-profits on CharityBlossom.org.